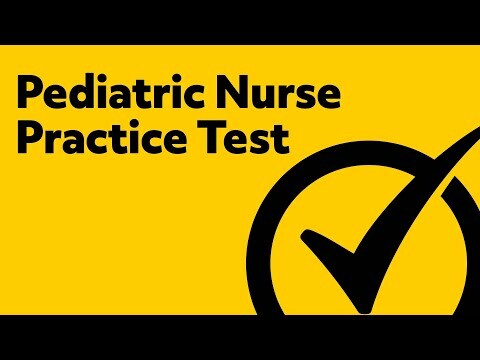 The Certified Pediatric Nursing (CPN) exam was designed to measure the most essential day to day skills and knowledge needed to excel in a career as a pediatric nurse. Those with the certification are more competitive candidates when applying for jobs and have higher earning potential in the long term. How Much Does the CPN Exam Cost? The exam fee is $295. However, there is a $45 discount for members of the Society of Pediatric Nurses. More importantly, the Pediatric Nursing Certification Board offers a “No Pass, No Pay” program for employers. Hospitals, daycares, clinics and other facilities can enrolls in the program which allows all of their nurses to attempt the CPN exam twice per contract year (and four times in total). If you pass, your employer pays the full exam fee. If you don’t pass, neither you nor your employer has to pay anything. Before you register for the exam, ask your employer if they participate in the “No Pass, No Pay” program. If they don’t, ask them if they would be willing to participate. If they are, you’ll be able to avoid the $295 fee! On the day of the test, make sure you arrive at least 30 minutes early in order to complete the check-in process. If you are late, you will not be allowed to test and you will not get a refund. So showing up 30 minutes early to make sure you can check in before your appointment starts is essential. Once you have checked in, you will be taken to exam room where you will have three hours to answer all 175 multiple choice questions on the computer based exam. If you need any special accommodations due to a disability, you should make these arrangements when you register for your appointment. What Kind of Questions Will Be Included on the Test? You will need to answer a total of 175 questions. However, only 150 of those questions will actually be scored and count toward your final result. The remaining 25 questions are unscored questions being considered for inclusion on future versions of the exam. The estimates about the number of questions per section reflects the number of scored questions included. The 25 unscored questions will be distributed across all four content areas so the actual total will be slightly higher for each section. BEST WAY TO PREPARE FOR THE PEDIATRIC NURSING EXAM! How is the CPN Scored? The exam is given a cumulative scaled score ranging from 200 to 800. The minimum cutoff score needed in order to receive your certification is 400. You will find out whether you passed or failed right after you finish and your official results will arrive via email within two to three weeks of taking the exam. Do I Need to Study for the CPN Exam? Since this exam is so firmly grounded in relevant, on the job knowledge and skills, you will likely be familiar with most of the questions. However, no matter how relevant the questions are, there will definitely be some things that you need to refresh your memory on or that you need to learn because you just haven’t encountered it yet. So you will want to spend a few weeks preparing for this test using study aids like the Mometrix Study Guide and the Mometrix Flashcards. These tools will help you review all of the important material you will need to know for the exam. Not only that, they will also show you some of the most effective test-taking strategies to help you maximize the limited amount of time you have and make sure that you do your best on every single question. 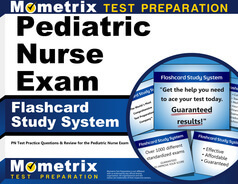 Using the guide and flashcards, you’ll not only improve the foundational knowledge and skills you need in your day to day duties as a pediatric nurse, you’ll also improve the test-taking skills you need to ace this test and get certified for your career! 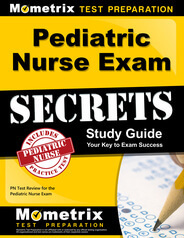 Mometrix Academy is a completely free Pediatric Nurse test resource provided by Mometrix Test Preparation. If you find benefit from our efforts here, check out our premium quality CPN Study Guide and CPN Flash Cards to take your studying to the next level. Just click the CPN study guide link below. Your purchase also helps us make even more great, free test content for test-takers.